From peanut nougat and bacon to candied jalapenos. The Fixx experience will introduce you to intoxicating flavors that will reinvigorate your love of chocolate. It basically started in Madagascar. 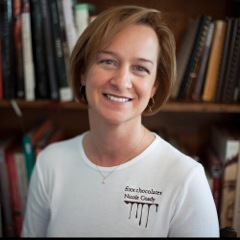 It was May, 2012, and Nikki Economides was visiting the island country off the coast of Africa in order to personally see the origins of chocolate. Surrounded by cacao plantations, nature and her peers, Nikki, yet again, fell in love with chocolate. Her renewed desire took an even more interesting turn several weeks later after casually enjoying a well-known candy bar. It became clear to her, and she began experimenting in her kitchen that very evening – she could take the candy bar experience to another level… an exciting and indulging level. As she relentlessly pursued and shaped her vision for the ultimate gourmet candy bar experience, Nikki researched and sampled the products available to consumers, buying candy bars from local gas stations to candy shops in Paris. Her goal was to create something that nobody has ever experienced, something innovative, and something to satisfy gourmet addictions. The result was Fixx Chocolates and an assortment of unique, rich and superb creations that will elevate your candy bar experience. From peanut nougat and bacon to candied jalapenos, the Fixx experience will introduce you to intoxicating flavors that will reinvigorate your love of chocolate. Self Fixx? Wholesale Inquiries? Want to say Hi? Use the form below and we'll contact you shortly.